For his part in the joint effort, Endoh has helped establish an R&D hub for advanced integrated circuits — CIES' global consortium — at Tohoku University. As a financially independent and self-sustainable operation, the CIES consortium provides a successful example for R&D management in universities. (※1) STT-MRAM (Spin Transfer Torque – Magnetoresistive Random Access Memory): A memory device that uses magnetoresistance–a material's tendency to change its electrical resistance when a magnetic field is applied externally. The device is capable of high-speed random access, and consumes very little power as it retains the data even when the power is off. 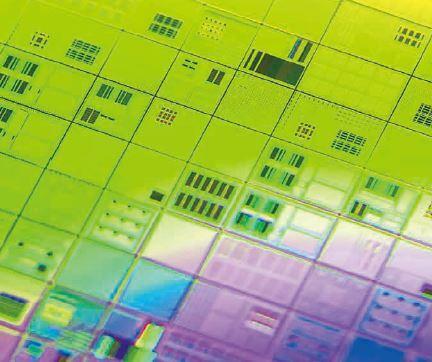 Because of these features, STT-MRAM is gaining traction as the next-generation technology for such applications as embedded memory, main memory and logic. (※2) 3D NAND Memory: Semiconductor storage memory staked memory cells with vertical MOSFET. It's expected to be an important next-generation memory technology due to its high density – replacing existing planer-type NAND memory. Major semiconductor chip manufacturers in Japan and overseas have already begun sample shipments. CIES has official government support, and is included in Sendai City's special zone for the promotion of private investments — a business model for supporting local enterprises.